At the June 2015 BRAT convention, the Board of Directors made the decision to DNA Fanconi test all rescues under 10 years old. 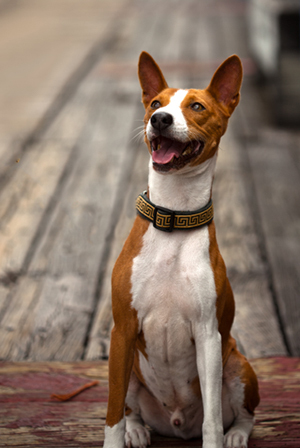 This decision was based on the new 2015 Gonto Protocol, first released at the convention, which showed that, when diagnosed early, a Fanconi-affected Basenji can lead a normal, active, symptom-free life. As of July 1, 2017, we have tested 158 BRAT Basenjis at a cost of $10,420. Of those tested, 14 are affected, 44 are carriers, and 100 are clear/normal. Thanks to early diagnosis and intervention, life just got a whole lot better for those precious 14 Basenjis who are affected! We depend solely on the generosity of our donors to help save Basenjis who deserve a second chance at a great life. We need your help more than ever! Please consider making an extra donation to BRAT to help cover the additional expense of life-saving DNA Fanconi testing.